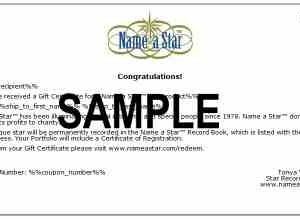 Instant Name a Star Certificate that you can download immediately. 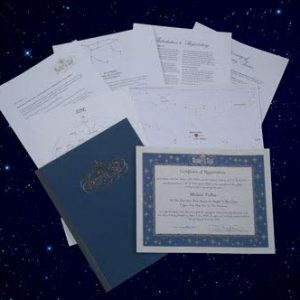 Standard Name a Star Package that can be shipped anywhere and includes a certificate of star registration, star charts, and much more. 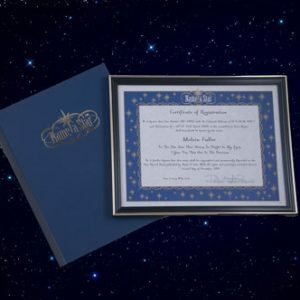 Name a Star Deluxe Package, which includes everything above, plus a second star certificate in a beautiful frame. 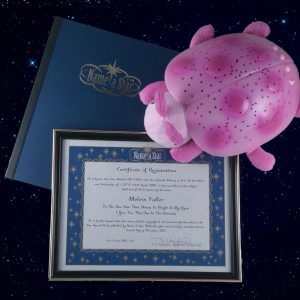 You can also buy a star for a child with one of our gifts for kids. 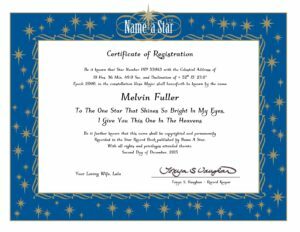 Want to know how to name a star after someone? It’s easy. 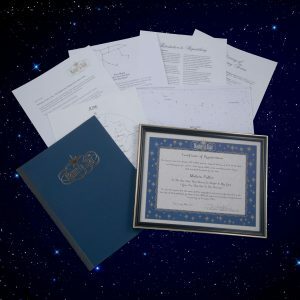 Just pick your star package, then customize your Name a Star Certificate. 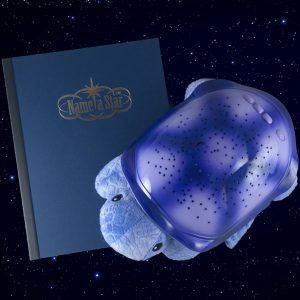 It’s a wonderful gift your special friend or loved one will remember forever. 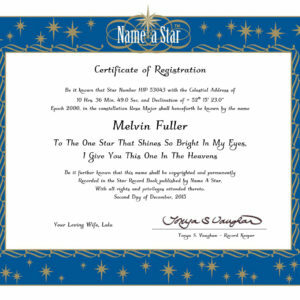 Your satisfaction is guaranteed with Name a Star the Original Star Naming Service – Since 1978®.